Breakfast is a great opportunity to wake up your taste buds with a freshly cooked and naturally delicious meal. Vegetables, herbs and spices can all play a part in a good breakfast – yes, even on a Monday! Grilled tomatoes with herb sourdough croutons and Rhubarb Ketchup. I’ve been making my own natural sauces that go with lots of great breakfast dishes, but there’s plenty of reasons to rustle up a home-made breakfast, with or without sauce! A homemade, freshly cooked breakfast allows you to enjoy your personal favourite flavours and ingredients. So why not start the day with a big flavour hit? There’s no limit to a flavourful breakfast, yet for the past 40 or so years, a bowl of breakfast cereal has been the UK’s breakfast favourite. You only have to look at the size of the cereal aisle in the supermarket to be reminded how successful the breakfast food industry continues to be. The reality of the taste and flavour profile of breakfast cereal though, is, of course, just sugar – it masks the bland, processed nature of ready-to-eat breakfast foods and does little else. And every bowl of cereal will taste exactly like the previous one, so you never get any taste and flavour variations like you do if you cook your own breakfast. Texture is another element of taste that is often overlooked. Naturally cooked foods have wonderful variations in texture – for example, the crunch of toast, the smoothness of butter, the wobblyness of marmalade – all add to a really satisfying meal. Homemade baked beans with Umber sauce. Rustling up a fresh breakfast from scratch is the chance for a bit of early-morning creativity . Trying out other cultures’ breakfast is fun too – I’m liking homemade miso broth for breakfast at the moment amongst other things. And using herbs and spices is a brilliant creative way to put a different ‘spin’ on scrambled egg or fresh hash browns for example. 3. An early morning nutritional hit. A freshly cooked breakfast made of natural ingredients is going to be good for you – yes, including a fry up. Spicy hash browns with scrambled egg and Umber sauce. Eggs are one of the most protein-rich foods you can eat, and incredibly versatile. Home-cooked baked beans are full of fibre. Potatoes are rich in potassium and other minerals. Vegetables and fruits all contain natural vitamins and minerals. Cheese and butter contain vital fats, homemade bread gives you fibre and protein, herbs and spices contain essential minerals, spinach is full of iron, organic bacon is full of protein, good fats and minerals..
On the other hand, a bowl of crunchy nut-style cornflakes is one third sugar – yes really! – and the product includes four types of sugar (sugar, barley malt, molasses and honey). One ‘breakfast bar’ I just checked out contains no less than 10 different sugars, and each bar is 50% sugar. Yet the cereal food industry has somehow managed to make us feel bad if we choose a freshly cooked breakfast over a bowl of cereal or a cereal bar. We’ve been conditioned into believing that a naturally cooked fresh breakfast is indulgent, unhealthy, reckless, time-consuming and should only be an occasional treat. Of course the opposite is true. So here’s to fresh, weird, wonderful and well-seasoned breakfast dishes every day! It’s 7.45am. It’s the middle of August and a gorgeous sunny morning. I’m working from home today, and have decided to do a ‘commute’ to enjoy the early morning before settling at my desk. My commute takes in woods, water, fields and, most impressively, hedgerows. I’ve been walking this route every now and then for a few weeks, and gradually noticing all the edible plants growing, flowering and fruiting. Rowan trees line the narrow road, with their heavy clusters of berries and their handsome leaves and I get absorbed in the idea of a creative morning of making rowan jelly. Lower down in between the rowans, plump rosehips shine in the early morning light. More ideas for jams! I pass by the old chapel. Feverfew flourishes from the cracks at the bottom of the stone wall. If I had a headache or a cold, perhaps a feverfew tea would be just what I needed. I find early spring an exciting time of transition. The clocks have gone forward so all of a sudden there’s daylight into the evening. The muddy brown hedgerows and roadsides are transformed by daffodil or crocus yellow and snowdrop green and white. The tantilising warmth of midday sun is punctuated by the final throws of late winter hail and highground snow. I realise my cooking starts to reflect this change. I’ve loved cooking chunky, umami winter stews and roasts that warm body and mind during the winter. Now I’m drawn to dishes that still give warmth but have a lighter feel. I bought some locally grown parsnips and dug up some small but very flavourful leeks from the allotment and made a spicy, aromatic soup flavoured with roasted madras spice mix. The flavours of roasted coriander, cumin and mustard add layers of earthy flavours and balance the heat of the chili, pepper and ginger. I blended the soup to give it a smooth, light texture and snipped some chives from the garden as a garnish and a reminder that everything’s beginning to grow. 1 large or 2 small leeks, 1 big clove garlic, 2 large parsnips, 2 Tbsp oil, 2 tsp Dinebox Madras blend, 1/2 tsp DB Pepper blend, 1/4 tsp salt, 1/2 – 3/4 ltr stock. 1.Wash the leeks and chop. (I try and use every bit of the leek and only discard the very tips or outer leaves if they’re too tough. 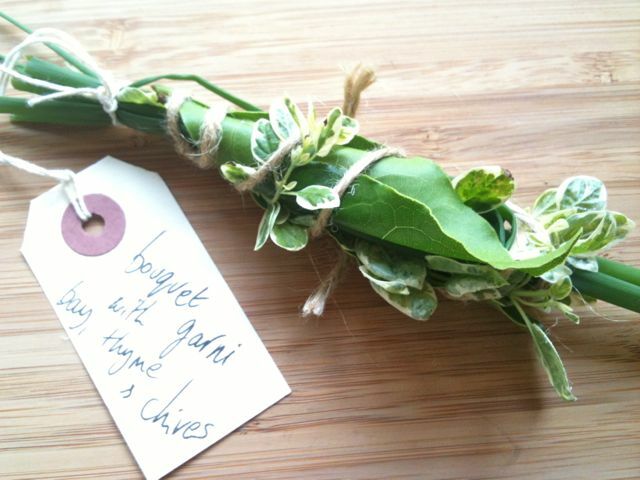 There’s so much flavour in the green leaves as long as they are cooked till tender). 2.Peel the parsnips and chop. 3. Peel the garlic and crush. 4. Gently saute the leeks and parsnips in the oil for 10 mins. 5. Add the garlic and Madras blend and saute for a couple of mins. 6.Add the rest of the ingredients, bring to the boil then simmer for about 20mins until the vegetables are soft. (How much stock you add depends on how thick you like your soup. It’s easier to make a thick soup and then add a little more stock, than make a thin soup that you have to overcook to reduce the liquid). 7.Blend then serve with a garnish of chopped chives. A swirl of cream would also add to the creaminess of the texture. “Tomatoes and oregano make it Italian; wine and tarragon make it French. Sour cream makes it Russian; lemon and cinnamon make it Greek. Soy sauce makes it Chinese; garlic makes it good.” – Alice May Brock (Alice’s Restaurant). It’s the end of January, and at our allotment, the promising, green shoots of garlic are about three inches above the ground. For a plant that takes up little space, it rewards with an unbeatable mix of dense nutrition and pungent flavour. Garlic occupies a very unique and wonderful place in the culinary world of taste and flavour. 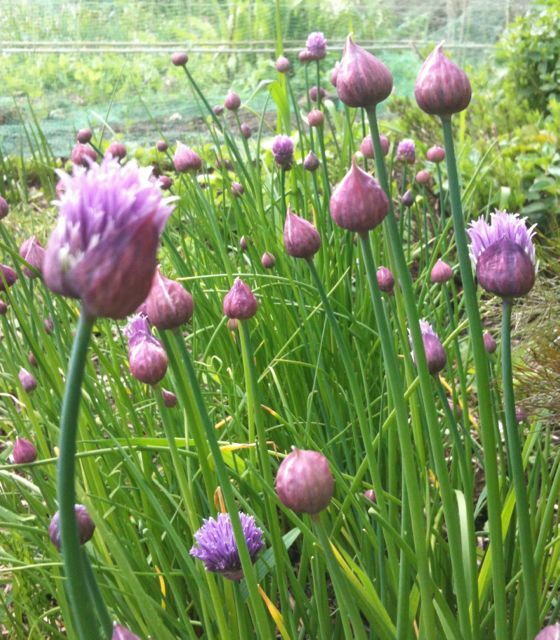 Rightly regarded as one of the most important edible plants for providing not just its own flavour, but for enhancing the flavour of other ingredients. It’s essential to a wide range of dishes, from complex Asian curries, to classic French moules marinière. Garlic has the added bonus of being incredibly rich in vitamins and minerals. It’s a ‘first class prebiotic” according to Tim Spector, which means it’s very good at promoting healthy gut bacteria. Garlic is also high in polyphenols – the multiple chemical compounds that have anti-oxident properties, so may be very helpful in combating disease. I’ve found a couple of 16th Century English recipes, including the wonderful-sounding ‘Eel in Herb Sauce’, (from McEndry’s ‘Seven Hundred Years of English Cooking’), that prove garlic has been used in British cooking for a very long time. But when I was a child growing up in England, I don’t think I ever saw garlic in the shops, and we certainly never cooked with it. A serving of hot, buttery, garlic bread on a rare trip to a restaurant was an exotic treat. The UK has come a long way from confining garlic to being spread over a loaf of french bread and warmed in the oven. When garlic is cooked slowly, its pungency is softened into a sweet, sticky and soft bulb of goodness. Herb and spice guru Ian Hemphill (The Spice and Herb Bible), recommends placing a whole bulb on a barbecue. You don’t need to confine this delicious method to an outdoor summer party though. We cook whole garlic in the oven, especially easy when the oven’s on for a roast. Take a large bulb of preferably organic, garlic. Don’t peel it. Wrap it in foil and bake it at 190C for about 45 mins, or until soft when you squeeze it lightly. Unwrap from the foil and slice in half horizontally. Eat with a teaspoon. You can add variation to this basic baked whole garlic, by slicing the garlic bulb in half before cooking and sprinkling your favouite herb or spice seasoning on the cut slices, then putting back together and roasting as above. Ras el hanout is my favourite spice blend for this. 2. Roast lamb with garlic and rosemary. These three ingredients combine brilliantly. There’s something abut the sweet, herby aroma of rosemary and the umami of the lamb which is lifted even further with the addition of garlic. Make some deep slits in the skin of a shoulder or leg of lamb. Poke peeled garlic cloves and sprigs of rosemary into the slits and roast as usual. In late spring, wild garlic graces Britain’s woodlands with a pungent, white and green carpet. It’s a beautiful sight and making something to eat from this free, prolific and delicious spring plant seems the obvious thing to do. Pick a l arge bunch of the leaves and flowers (leaving the bulb in the ground to regrow). Wash and then blend with 50g pine nuts, 50g parmesan, a generous pinch of salt and pepper, a tsp lemon juice and 150ml of olive oil. Serve mixed into spaghetti or, if you’re in gourmet mood, make your own wild garlic pesto ravioli. 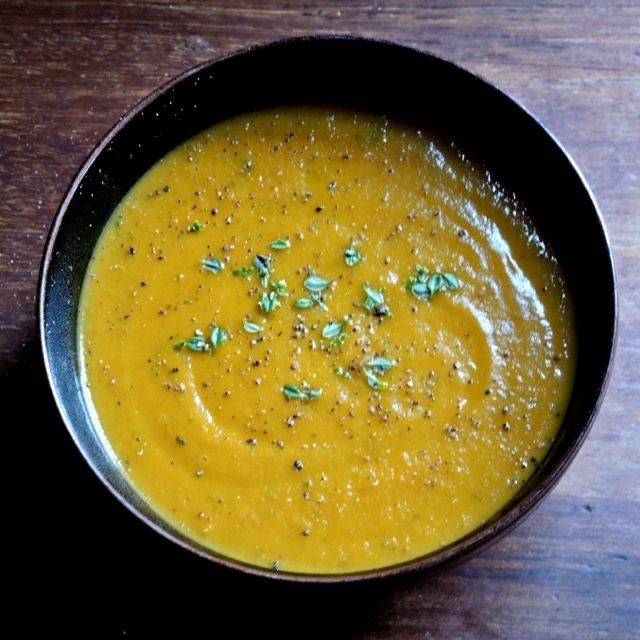 My partner makes the most delicious split pea dhal. It’s hot and earthy with a real depth of flavour from the garlic, chilies and spices. I thoroughly recommend it! 1. Place the split peas, water, potato, vegetable stock, turmeric and chili in a large pan, bring to the boil and then simmer for about 45 minutes, until most of the liquid has been absorbed and the mixture is creamy. 2. Whilst the peas are cooking, place the olive oil, onion, garlic and chili in a small pan and cook gently for 5 minutes till the ingredients are soft. 3. Add the tomato and cumin. Cook for a further 5 minutes then add to the cooked split peas and stir well before serving. If you have a favourite way of cooking with garlic, I’d love to hear from you. Today the temperature has been close to freezing. There are almost gale force winds and the sky is a determined dark grey, giving the impression of permanent dusk. Despite this meteorological challenge, the rosemary in our allotment is thriving. When most of the herb garden has succumbed to the winter temperatures, rosemary remains wonderfully unfazed by even the harshest weather. Just brush off the snow, and snip off a few sprigs. 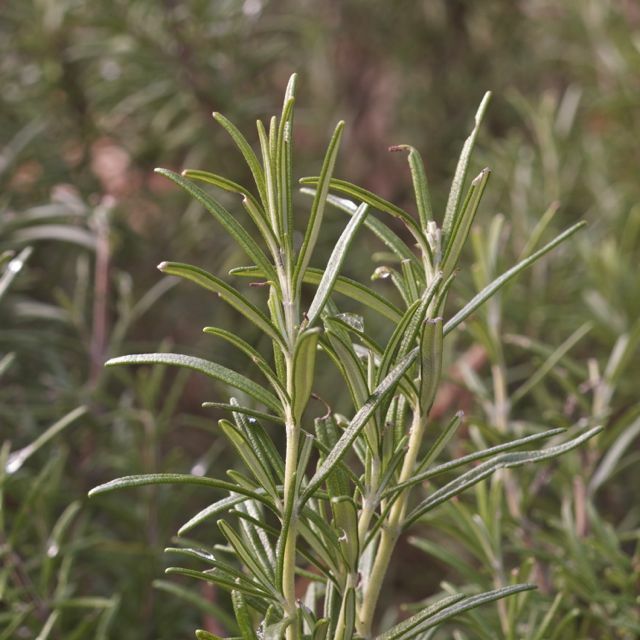 Rosemary’s savoury flavour and piney aroma adds a welcome freshness to your winter cooking. As well as providing the perfect seasoning for traditional, hearty dishes like roast lamb and herby dumplings, rosemary also works brilliantly with Mediterranean dishes like homemade pizza with olives, tomatoes and cheese. Rosemary originates from Southern Europe, so it has a natural affinity as well as a long history of being used in Mediterranean cooking. 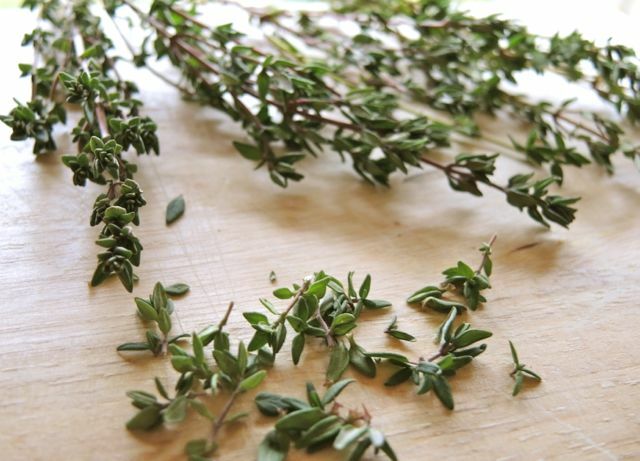 But don’t limit rosemary to savoury dishes. 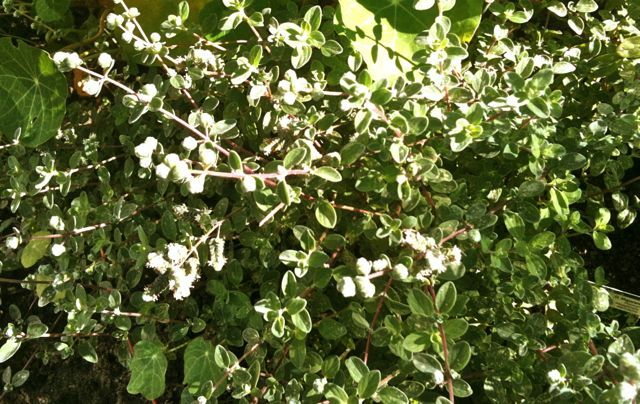 Its aromatic mintiness adds depth and balance to sweet dishes too. A little chopped, fresh rosemary and a pinch of sea salt added to shortbread dough makes for a lovely marriage of sweet, salty and savoury. And if you’re looking for a special dish to complete a dinner party – rosemary infused, dark chocolate truffles are simple to make – see my recipe below. Alternatively, if you’re into your January detox, poach some fruit with a sprig of rosemary and a generous teaspoon of cinnamon – the flavour combination works really well – especially if you include a mix of sweet and sour fruits like apples, grapes and redcurrants. And for a general pick-me-up, make a simple, rosemary tea (recipe below) – its renowned health properties include being used as an antioxident, memory stimulant and antiseptic. Dark chocolate Rosemary Truffles To make 20 truffles 160ml double cream 10 sprigs fresh rosemary 200g good quality, dark chocolate 20g butter 45ml icing sugar cocoa powder for coating. Place the rosemary in a pan with the cream, and heat until boiling. Turn off and leave to infuse for 45 mins. Boil the cream again then strain off the rosemary and leave the cream to cool a little. Gently melt the chocolate (in a bowl over hot water). Add the butter, then once it’s melted into the chocolate, stir in the sugar and the cream. Mix well then remove from the heat. Cool the mixture then place in the fridge until firm enough to handle. Form into small truffle shapes (it doesn’t matter how irregular! ), and then roll in cocoa. 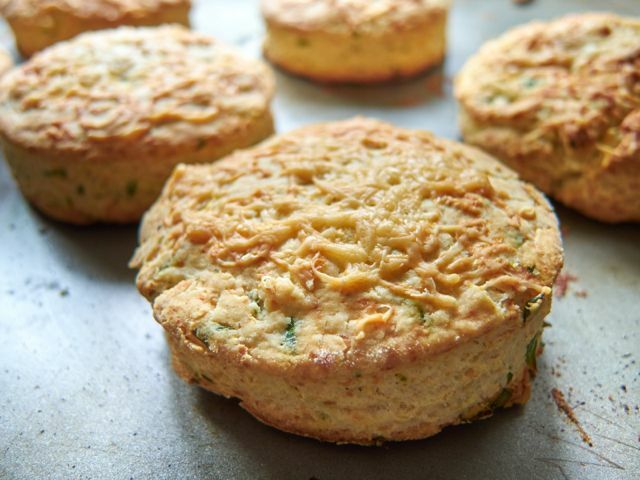 Keep in the fridge until you’re ready to serve them and they’ll keep for about 48 hours. Rosemary Tea Add 1 sprig of rosemary per cup of boiling water. Leave to brew for 3 – 5 mins. Strain before drinking.